Through Panasonic Business Finance this special promotion enables end users to spread out the cost of acquiring Panasonic products over 24 months, avoiding larger up-front costs. Eligible Products: Panasonic AU-EVA1, Panasonic VariCamLT-PRO Package , Panasonic VariCamLT-PRO Package with VariCam LT 4K Super 35 Cinema Camera, Panasonic VariCam LT 4K Super 35mm Cinema Camera. Please contact: Talamas Sales or call (617) 928-0788 for more information. 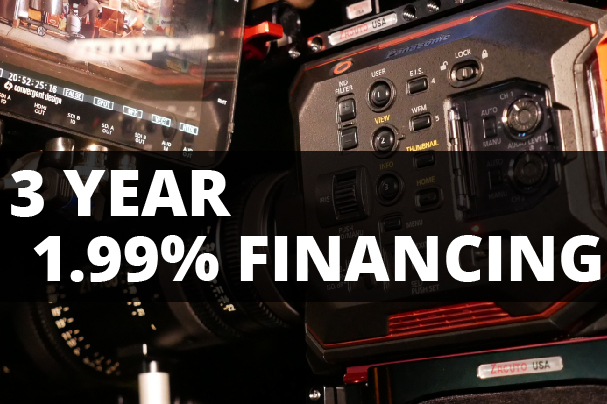 Panasonic is offering an exclusive 36 month, 1.99% finance option on the VariCam 35, VariCam LT, VariCam HS, AU-EVA1, and main VariCam and EVA1 Panasonic branded accessories. 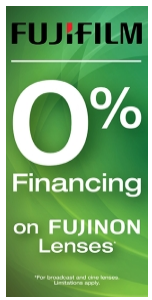 Through Panasonic Business Finance this special promotion enables end users to spread out the cost of acquiring Panasonic products over 36 months, avoiding larger up-front costs.